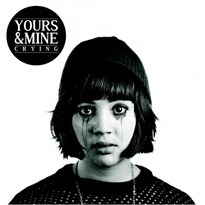 Your Hands Music, home to The Operators, Rob Cowen and Bluebell amongst other recently returned to Blue Pro Mastering to master the new single ‘Crying’ for recent indie-pop three-piece signing ‘Yours & Mine’. Following the release of debut EP Yesterday’s Girl last year, plaudits were sent in the band’s direction from the likes of Musicweek and NME.com, having witnessed their electrifiying live show that combines the retro sounds of Elvis Costello and Roy Orbison, with more contemporary indie stylings such as Howler and The Vaccines, and motown grooves in the vein of The Supremes and The Shangri-La’s. The rest of 2011 saw them share stages with the likes of Two Wounded Birds and The Fun Lovin’ Criminals. Crying is out on Your Hands Music (Bluebell, Gabrielle Aplin, The Operators) on 1st October 2012.